Vong Phaophanit was born in Laos in 1961. He studied at the Ecole des Beaux Arts, Aix en Provence, France, and moved to the UK in 1985. Phaophanit creates large scale installations in a range of materials including rice, rubber, silk, ash and neon. 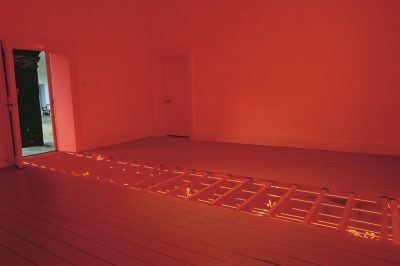 He has exhibited internationally since the 1990s and was nominated for the Turner Prize in 1993. Phaophanit has taught at Chelsea College of Art and Design, London, Wimbledon College of Art, London and the University of East London. His work is represented in significant collections including those of the Tate Gallery and the British Council.